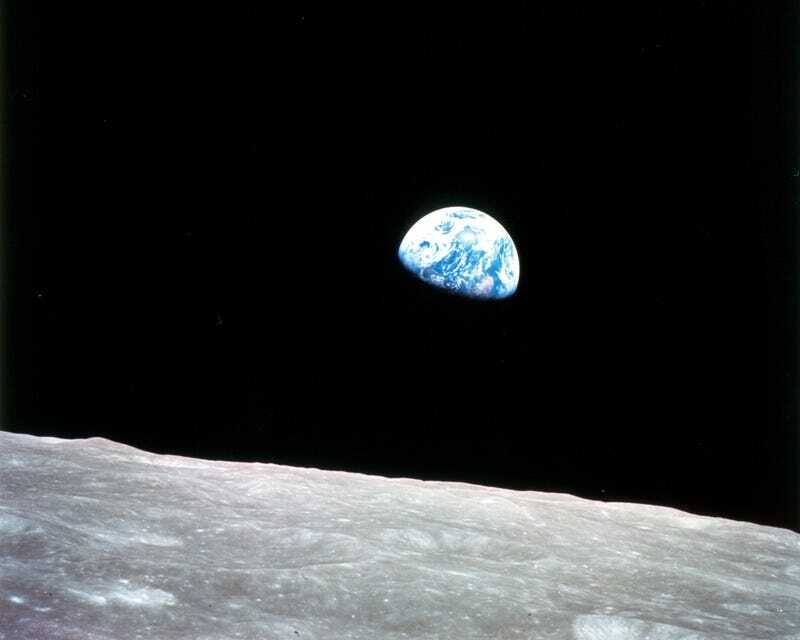 Apollo 8, the first manned mission to the moon, entered lunar orbit on Christmas Eve, 24 December, 1968. Astronauts Commander Frank Borman, Command Module Pilot Jim Lovell, and Lunar Module Pilot William Anders held a live broadcast from lunar orbit, in which they showed pictures of the Earth and moon as seen from their spacecraft. “The vast loneliness is awe-inspiring and it makes you realize just what you have back there on Earth,” said Lovell. Having been instructed to “do something appropriate” the crew finished their broadcast with a reading from the Book of Genesis.